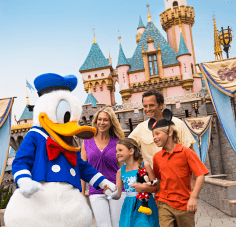 One of the nation's premier zoos, the San Diego Zoo offers more than 3,500 animals, representing more than 650 species and subspecies ... and even a few frogs! 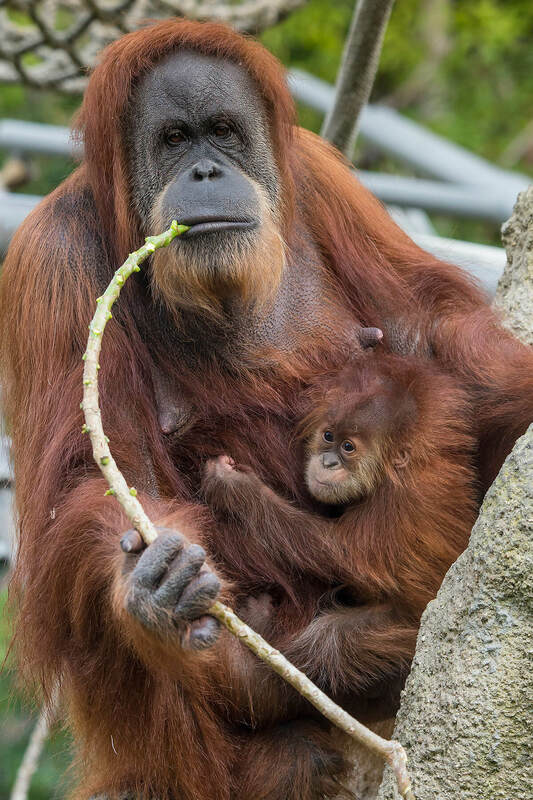 The zoo is big on conservation, and its Institute for Conservation Research has reintroduced more than 30 endangered species back into the wild. Because of its hilly, predominantly tropical terrain, you will likely find a day at the zoo is a full workout, so make sure to wear your comfortable walking shoes. Don't let this stop you from making the trip! 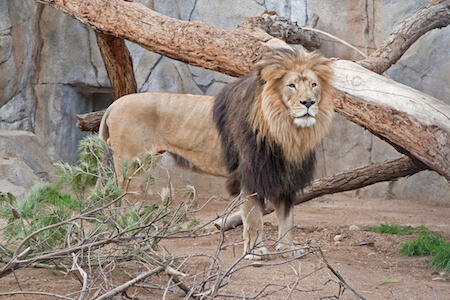 There are so many not-to-miss San Diego Zoo exhibits and attractions, including the lush grounds themselves, which the zoo maintains as an arboretum. On-site are many rare plants, some of which are grown to feed the animals (hello, pandas). The zoo is situated within the beautiful Balboa Park, a destination on its own, with museums, botanical gardens, restaurants, trails and open space. Basically, it's a nature and animal-lovers paradise! While it's not an exhibit, this 35-minute tour takes you through most of the park aboard an open-air, double-decker bus. It's a great way to get the lay of the land, so to speak, and a terrific overview of the park. Take the Guided Bus Tour first thing in the morning and then set out for your desired destinations. 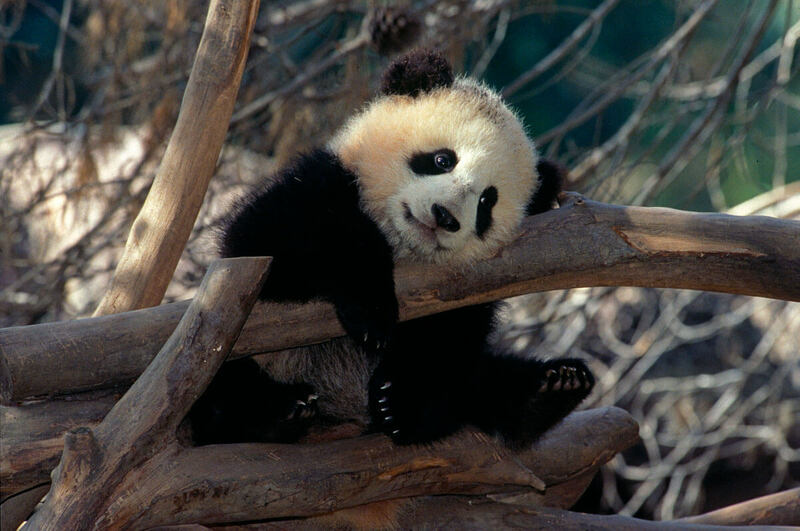 More than anything else, the San Diego Zoo is known for its giant pandas, which have been on loan from China since 1996. The giant panda is threatened in the wild, with just over 1,800 pandas living in the wild and another 300 living in zoos. Thanks to its successful breeding program, six pandas have been born at the San Diego Zoo! Today, two giant pandas call the zoo home, including Bai Yun, who is mother to the first surviving giant panda in the United States! You can also see a red panda at the San Diego Zoo. 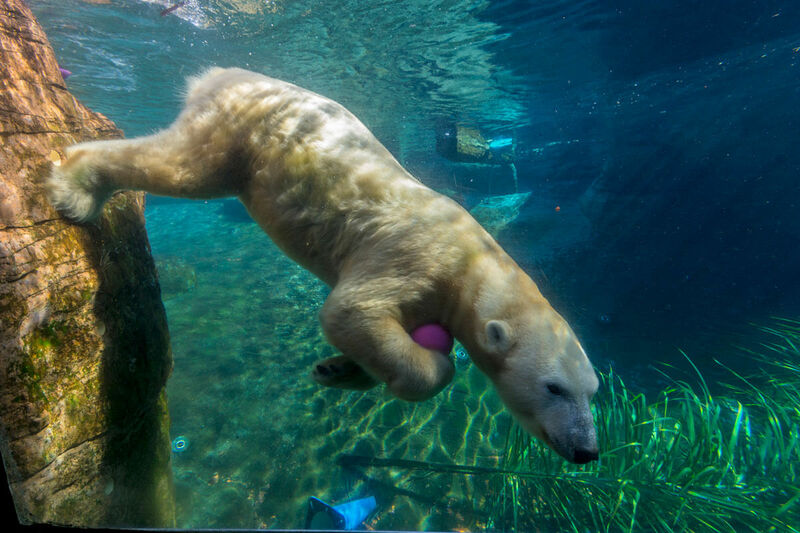 The San Diego Zoo is home to three playful polar bears. Certainly one of the coolest places to view the polar bears is the underwater viewing room. They might just swim up to say "hi!" You can also watch them outdoors in their tundra habitat. Kids enjoy interacting with the life-size statues of polar bears, crawling through caves and popping through the ice like a seal — get your cameras ready! The easiest way to get to the polar bears is to take the Skyfari Aerial Tram to the back of the park and head downhill. Did we mention the San Diego Zoo is very hilly? 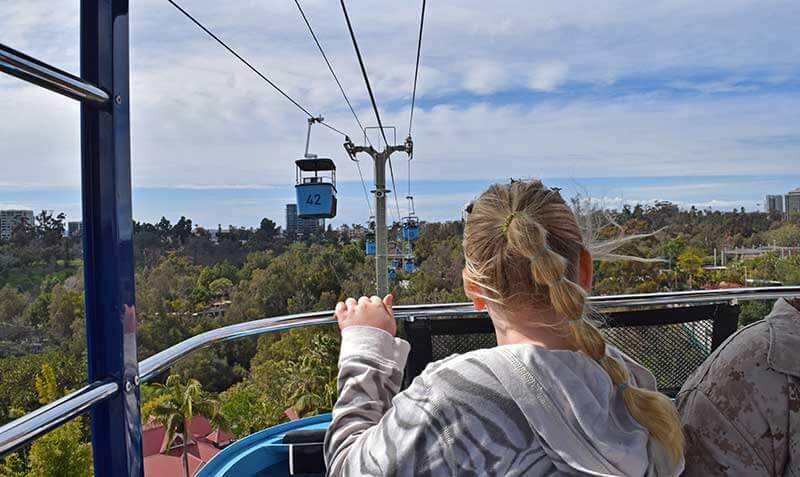 One of the shortcuts for getting across the park is the Skyfari Aerial Tram, which offers spectacular views of the zoo and surrounding Balboa Park. It's a real treat and a quick ride. Your feet will thank you! Use Skyfari to get easy access to both the polar bears and Elephant Odyssey, which will later lead you to an easy downhill journey through Africa Rocks. Besides the frog (of course), my favorite animal has always been the koala. 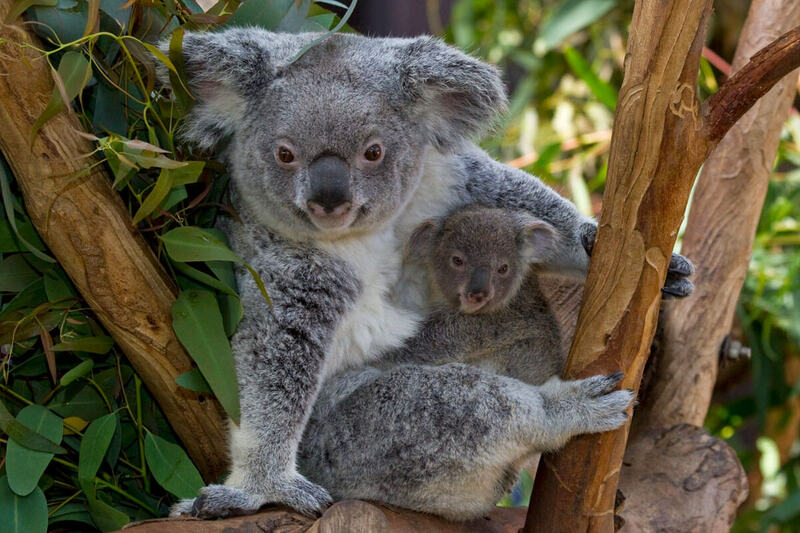 So, of course, the koala is on the top of my list to of not-to-miss San Diego Zoo exhibits and attractions. 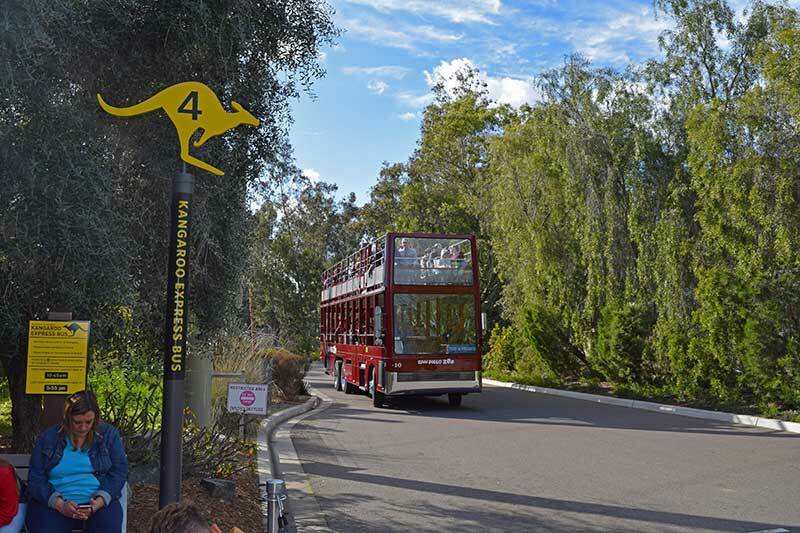 But even cooler is the San Diego Zoo's newest exhibit, Australian Outback. The Australian Outback area is double the size of the former koala exhibit and offers hands-on activities plus great views of my favorite marsupial. From the deck of the Queenslander House, you'll be eye level with the koala colony. You can also explore the Outback and see other Australian marsupials such as wombats, wallabies, Tasmanian devils and kookaburras. This 2.5-acre elephant habitat includes both African and Asian elephants in a natural, open area that gives them plenty of room to roam. Inside the Odyssey, you'll find the Elephant Care Center, where you can watch zookeepers providing routine care to the animals. Let the kids burn off some energy in play area, which features life-size staues made for climbing and playing (look for the sleepy lions near that area) and the tar pit area. The fossil dig shows how mammoths, the elephant’s extinct cousins, used to live in Southern California, as well as saber-toothed cats, sloths and lions. Some of our favorite animals at the zoo are the giraffes, maybe because they're so tall and we're so short, but we never miss out on a chance to see them. At the San Diego Zoo, you'll find a small herd of Masai giraffes within the Urban Jungle exhibit. Best of all, you can join in feeding the giraffes at certain times of the day! Be sure to check the schedule when you visit. Nestled inside the lush, African rainforest near the gorillas and pygmy hippos, you'll find more than 130 African native birds representing 35 different species inside this 80-foot-tall aviary. Let the tranquil sounds of the rushing water from the falls refresh you as you try your hand at bird watching. Get ready to go nose-to-nose with the playful orangutans, who sometimes like to sit close to the observation area so they can watch the humans on display. The world's largest fruit-eating animals are very playful, and within their exhibit you might catch them traversing their ropes or nets, munching on some tasty mustard, honey or barbecue sauce out of their "termite mound," or climbing their vertical sway poles. No matter what they are doing, they are always entertaining! 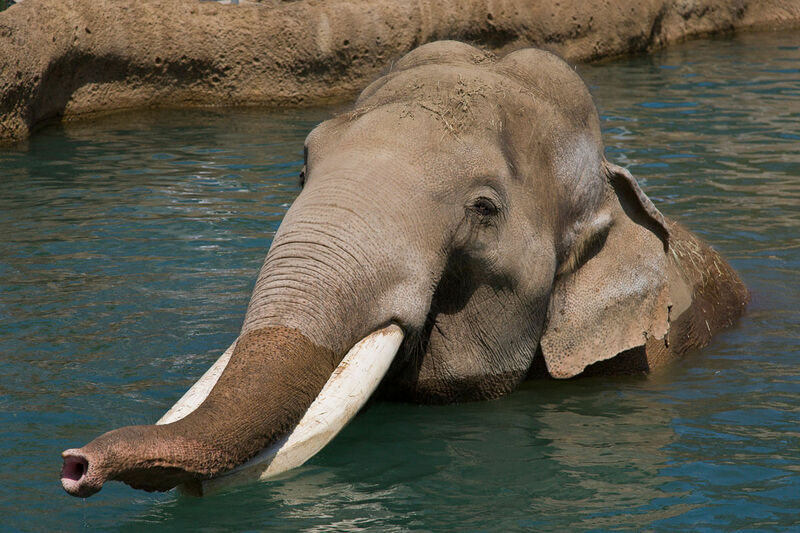 If you look at the San Diego Zoo map, you'll want to approach the San Diego Zoo’s newest area from the far right after visiting the Outback or Elephant Odyssey. The wide path takes you downhill (vs. an uphill climb from the Asian Passage direction) through six habitats in Africa Rocks. 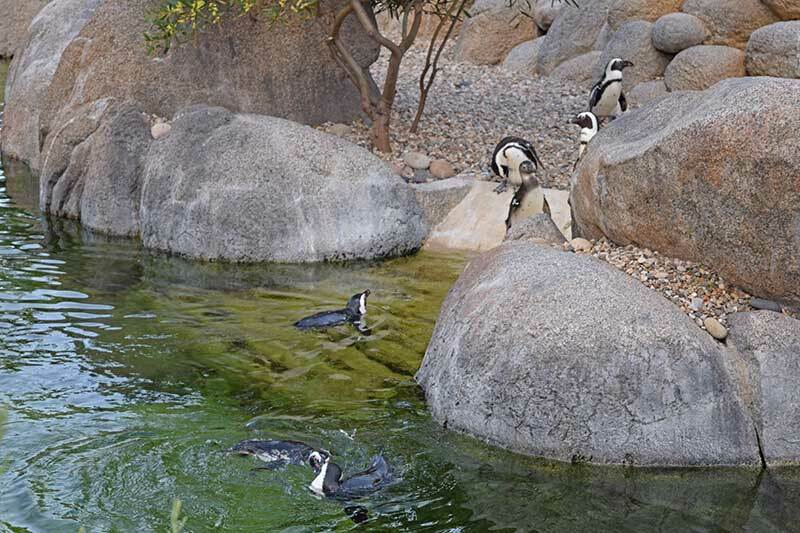 You'll wind past baboons, colorful birds, gorgeous leopards, crocodiles, lemurs and the fun-loving penguins. Be sure to spend some time in the underground aquarium viewing area. Enjoy the sharks and fish until the penguins zip though the water as if they're the true stars of the show (they did dress for the occasion)! We hope you've enjoyed our look at the not-to-miss San Diego Zoo exhibits and attractions. Ready to go? 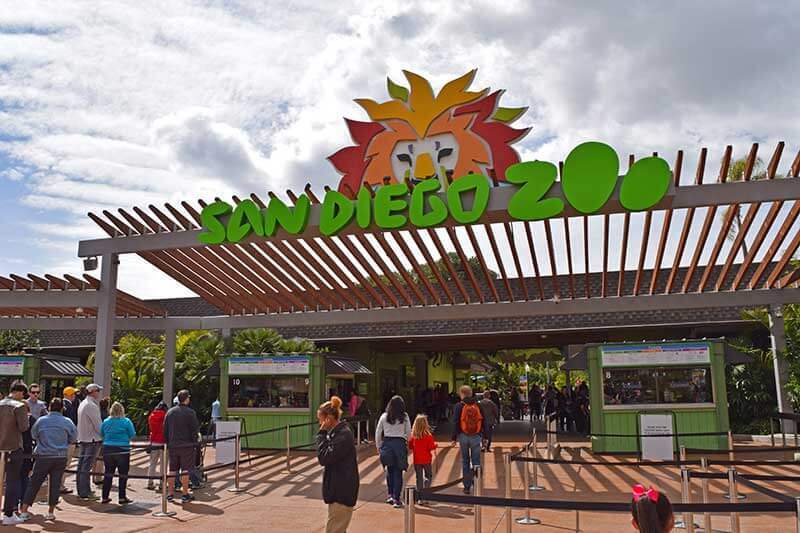 Purchase your San Diego Zoo tickets now! 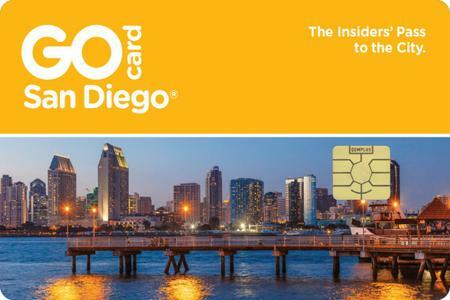 If you're looking for help planning your trip, start with our San Diego Planning Guide, which includes all of the area major attractions. I would like to know if their is any rides and if the inside tour bundle I will be able to see the pandas upclose too.btw im planning to go tommorow.